Are you a student or teacher interested in sound design or game development? We have some great news for you! 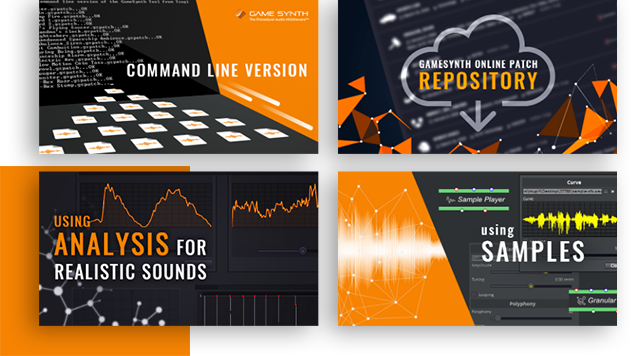 You will find out below how you can learn – or teach – procedural audio with GameSynth, at a lower price and with extra educational content! A powerful patching system allowing for experimentation while staying easy and fast to use for production. 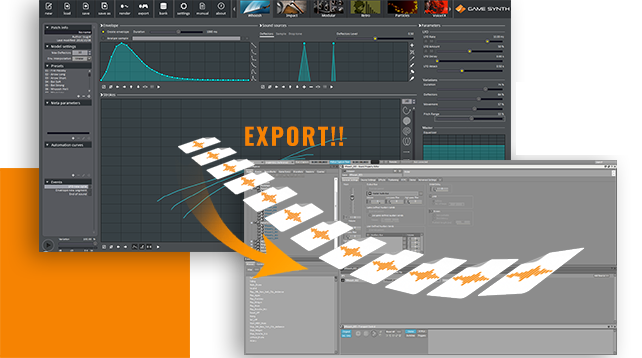 Many game-related features: automatic random variations, meta-parameters, events and direct export to middleware (Wwise, FMOD, ADX2, Unity). Many presets in the tool, for all types of games, as well as an online repository where users can share procedural audio patches. 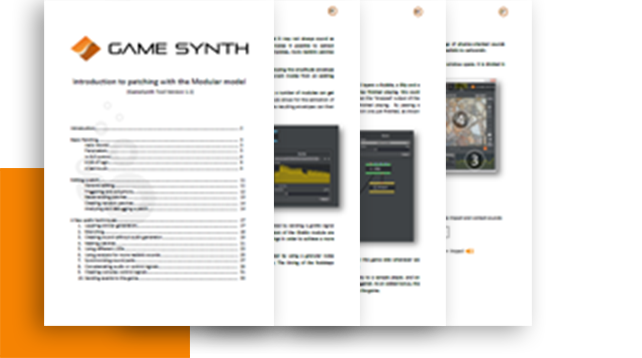 A blog with new tutorials posted regularly about GameSynth’s features and methods to design procedural audio patches. An exhaustive documentation, including a 100-page introduction to procedural audio patching that describes many useful techniques. 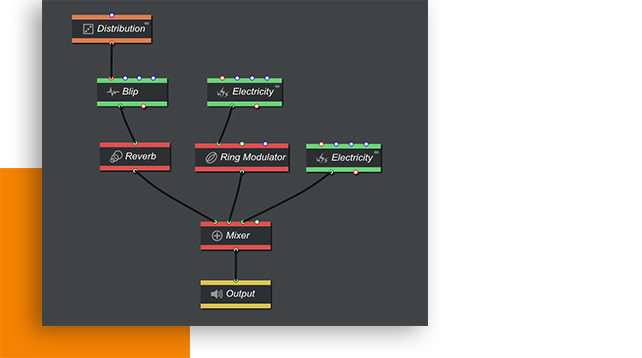 A plug-in SDK that will allow you to program and test new procedural audio models in just a few lines of code! Most importantly, GameSynth is currently being used in the production of many upcoming AAA games, quickly becoming the de-factor standard for procedural audio in games which makes it the tool you will use in professional life! This brings us to the GameSynth Educational Program. 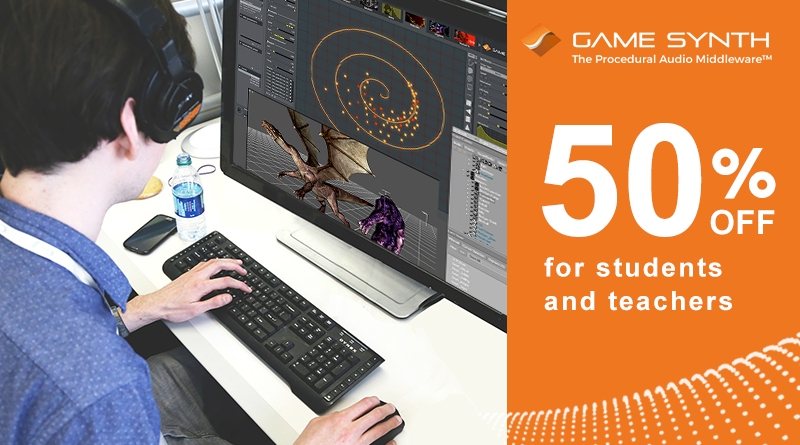 As for any other Tsugi software, we offer a 50% discount to students and faculty members who want to purchase GameSynth. Yes, you read that well: that means you can get GameSynth for US $195 instead of $390! If you are a student, simply send us a proof of your enrolment by email at education@tsugi-studio.com – such as a photo or scan of your student card – and we will send you a special coupon to use in our store in return. If you are a teacher, you can buy licenses at the same price for the students following your course (or even cheaper for multiple licenses). Get in touch with us for the details. In addition, we can provide extra educational material based on what you want to focus on in your cursus. We are already working with several universities around the world (more on this blog soon) and we would love to have you onboard! Contact us if you have any questions about the GameSynth educational program.